Like many senior citizens, you may live in fear of expensive emergencies because you live on a fixed income. Even if you have a nice nest egg saved up, the last thing that you want to do is chip away at it with pricey services. If you live in the Dallas area and ever need a locksmith, Extra Locksmith has you covered—and we’ll give you a 10% discount to boot. That’s in addition to our already low prices, which are among the most competitive in the area. It’s just one of the many ways in which we go the extra mile for our valued customers. So give our Locksmith senior citizen discount in Dallas a try! 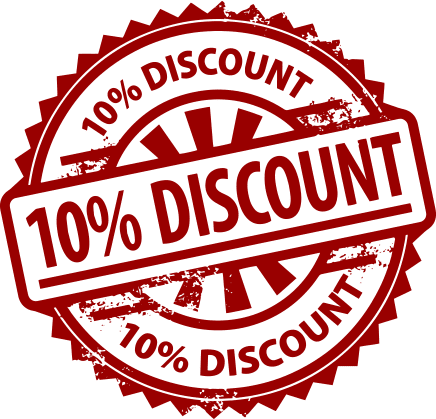 Get your 10% discount now! With just one click of a button you can have this special discount today. Perhaps you don’t need a Dallas locksmith at this very moment. However, you can find yourself in need of one quickly and without much warning—and then what will you do? Choosing a company at random is a recipe for disaster because they can easily charge you far more than they should. That’s particularly true regarding senior citizens, who are often taken advantage of by shady businesses. By keeping Extra Locksmith’s phone number handy, and accepting our Locksmith senior citizen discount in Dallas service you will always know a reliable place to call for help—and you’ll get an extra 10 percent off too. If you’ve ever required the services of a local locksmith, you probably discovered just how expensive they can be. If you took the time to call around for quotes, you may have found that prices vary wildly. How are you supposed to know which companies are trustworthy yet affordable? All too often, locksmith services are needed urgently—such as with home and car lockouts—and there isn’t time to shop around. You can rest assured that by sticking with Extra Locksmith, you’ll save 10 percent on our already rock-bottom rates. As a savvy senior citizen, you probably have lots of tricks up your sleeves for saving money. Many businesses around Dallas offer discounts to seniors, and it pays to identify them and to give them your business in more ways than one. Like Extra Locksmith, companies that offer discounts to senior citizens do so because they understand how tight finances can be in retirement, and they want to help older folks to stretch their dollars as much as possible. It is important for society to value its senior citizens and to recognize the sacrifices that they have made through the years. Throughout your life, you surely worked hard and did the right thing. In your golden years, you deserve for life to be as easy and as nice as possible. At Extra Locksmith, we love our area seniors, and we extend our 10% discount as a way of thanking them for everything that they’ve done. Think of it as our way of showing you the respect that you so dearly deserve. At Extra Locksmith, we know how upsetting it is to be locked out of a car or house or to have other security- and lock-related emergencies. You can count on us for your emergency services and for top-quality service every time. 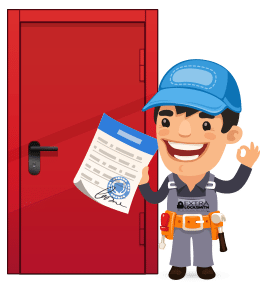 Extra Locksmith is fully licensed, bonded and insured for your protection. We are also accredited by the Better Business Bureau. Every member of our team receives extensive training. In addition to being highly skilled, our locksmith technicians provide courteous, top-notch customer service—and always with a smile! Our Dallas locksmith company offers some of the most competitive rates around for all of our services, allowing you to save big-time. Extra Locksmith is proud to offer a complete lineup of services for our valued Dallas senior citizens and others around the area. Keep in mind that our prices are already deeply discounted. When you add the 10% senior discount, you are truly saving a bundle. Best of all, you’re doing business with one of the best locksmith companies in Dallas. 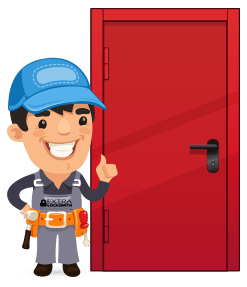 At Extra Locksmith, we understand the importance of shopping around when in need of home repairs and other services. As a courtesy to you, we are pleased to offer free quotes for all services. We stand behind our competitive pricing and top-notch services, and we are confident that our quote will outshine all of the others. 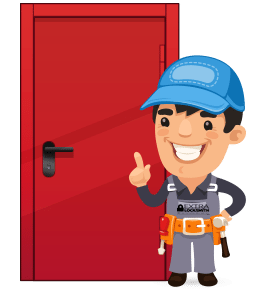 If you require Dallas locksmith services of any kind, we are available to help and can provide you with a free quote quickly. Just get in touch with us and tell us what you need. Whether you have been locked out of your home or car, need a new deadbolt installed or would like advice about home security, there is only one name to trust in Dallas: Extra Locksmith. If you are a senior citizen, you will enjoy an extra 10% off of our already very affordable services. We are located in Far North Dallas on Preston Road just north of Belt Line Road. We are open seven days a week from 7 a.m. to 11 p.m. We’re always ready to help, so give us a call today—and make sure to claim your senior discount!